To provide our patrons the resources to achieve their aspirations through literacy, technology, and community engagement. Empowering – We believe in empowering individuals and communities with ideas. Respectfully Adaptable – We believe in respecting each unique individual’s information needs and adapting to meet those needs. Good Humored – We believe in enriching lives through positive, friendly service. 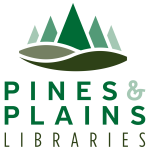 Goal 1: Pines & Plains Libraries will work to develop and expand facilities that better meet the needs of existing and prospective users. Goal 2: Pines & Plains Libraries will foster creativity and local culture by becoming hubs for the generation of art, information, and technology. Goal 3: Pines & Plains Libraries will engage its communities through remote services, outreach, partnership, and marketing. Note: P&PL develops strategic goals for 3 to 5 years and executes the detailed actions to achieve those goals each year. The strategic actions timeline is the primary accountability tool by which progress toward goals is measured. Annual staff reviews and wage increases are weighted according to strategic actions associated with each position. Strategic planning and execution is an integral, substantial way in which the Director’s performance is evaluated. In 2016, P&PL surveyed a convenience sample of 300 patrons about their opinion of their local branch and improvements they would like to see. In addition to the strategic plan, P&PL has pursued many of the short, mid, and long-term goals identified through content analysis of the assessment surveys. Raw data and a more extensive analysis are available upon request to simla@pplbraries.org. Click on the link below for a summary of the Needs Assessment. The marketing plan works in conjunction with the strategic plan and needs assessment goals to optimize value for patrons. A full plan is available upon request to simla@pplibraries.org. Click on the link below for a marketing presentation given to staff and the Board in 2016. P&PL updates fiscal data projections on a regular basis for purposes of long-range planning. The tool linked-to below estimates expenses aggressively and revenues conservatively. These relatively “cynical” projections aid the District in planning for budgetary challenges such as property tax reductions due to the Gallagher Amendment and economic downturn. Click on the link below for the most recent version of the projections scenarios. Note: For purposes of accountability to citizens, Colorado law requires the District to submit a balanced budget and an audit reflecting responsible fiscal practices to the state government annually.